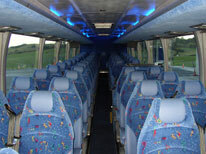 Coach # 123, another brand new 5 star joined our growing fleet in mid January 2011. Measuring 13.5m in length, this 49 seat Scania K400 touring coach is a true 'king of the road'. Boasting twin door entry, fully seat belted reclining seats, on board fridge, phone charging areas, climate controlled air-conditioning, and a state of the art TV / DVD entertainment system. It's good for our passengers and the environment with a Euro 5 emissions rating. 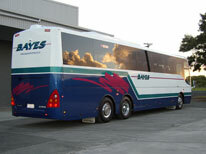 This is the best rating available for New Zealand coach touring. 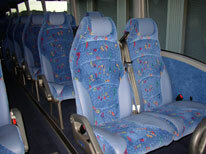 Sister coach # 124 is also under construction and due to arrive in mid May 2011.